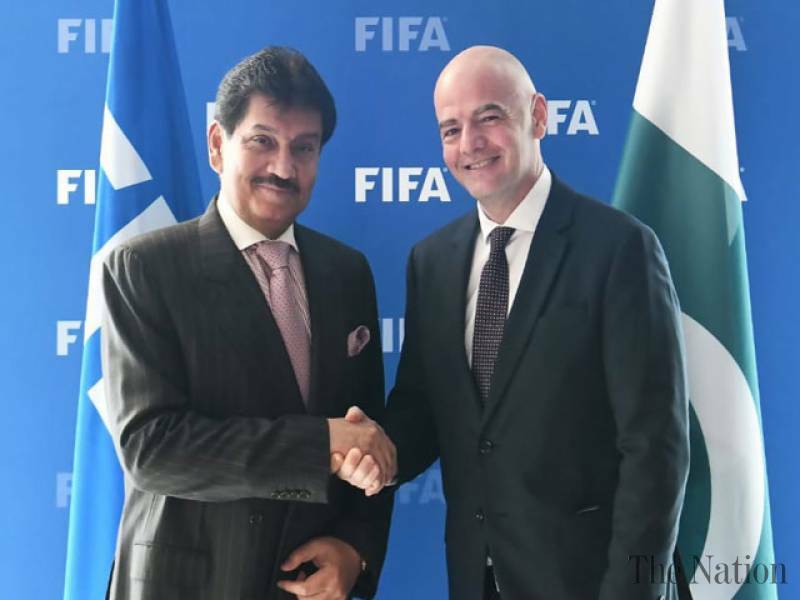 Lahore – President FIFA Gianni Infantino has accepted the invitation of PFF President Makhdoom Syed Faisal Saleh Hayat to visit Pakistan during a meeting at FIFA Headquarters, Zurich on Tuesday evening. President FIFA stressed the importance of Pakistan as an important football-playing country with a huge population and tremendous potential and said that FIFA will continue to assist Pakistan in developing the potential and further refining it. Along with the other merits of the meeting, it also focused on FIFA Forward Program and its successful implementation in Pakistan. FIFA has substantially increased its financial support for member associations and football development with a clear aim to improve the way it develops and supports football across the globe. PFF President said: “The core feature of the FIFA Forward Programme is to provide tailor-made solutions to the Member Associations and help fuel their football development by catering to their football needs”. The PFF President thanked the FIFA Chief for the steadfast and principled support during the last three years of occupation of football house and the game by illegal elements and also for showing keen interest towards the development of football in Pakistan. A special attention was given to the completion of unfinished goal projects in the meeting. The significant development in this regard is that FIFA President has agreed to not only complete the three unfinished such Projects including Sukkur, Jacobabad and Khanewal but also to install an artificial pitch at Khanewal. 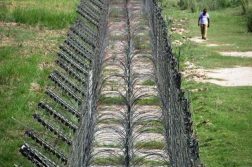 “The PFF is seriously concerned about the earliest completion of the goal projects in Pakistan so that these potential projects can be converted into football development centers and further PFF’s football infrastructure initiative” the PFF chief said and added: “The President FIFA has kindly addressed our concerns in this regard”. Another one of the important subjects discussed between the two presidents was the negative and detrimental impact on the game during the last three years due to third party intervention which brought the football in Pakistan to a halt and causing massive damage to the its systematic development and growth, said Faisal. “FIFA leadership is fully aware of all the losses incurred during the stoppage of the game in the country for over three years and in order to assess the problems in Pakistan football that needs immediate attention, FIFA will be sending a delegation to Pakistan to assist PFF in making a plan for the fast track recovery”, he added. The PFF Chief has also added that FIFA delegation will also deliberate jointly with PFF on a roadmap to avoid any political intervention in future in order to uphold independence of the member associations as a core principle of the FIFA statutes. “FIFA will also provide technical support to PFF for reviewing PFF Statutes. A FIFA team is also likely to visit Pakistan in this regard to assist PFF”, he said. During the meeting, Gianni was briefed by the PFF chief on the multiple steps taken by PFF to restart football activities during the last 4 months including holding of National Challenge Cup, National Women’s domestic and international events, participation in Asian games and SAFF championships. On the sidelines of the meeting, PFF chief also met the FIFA Secretary General Fatma Samoura. The meeting was held in a pleasant environment with an in-depth discussion on all possible areas where FIFA can provide support to Pakistan football.